I transplanted a few plants from Charro Lane to our new house. 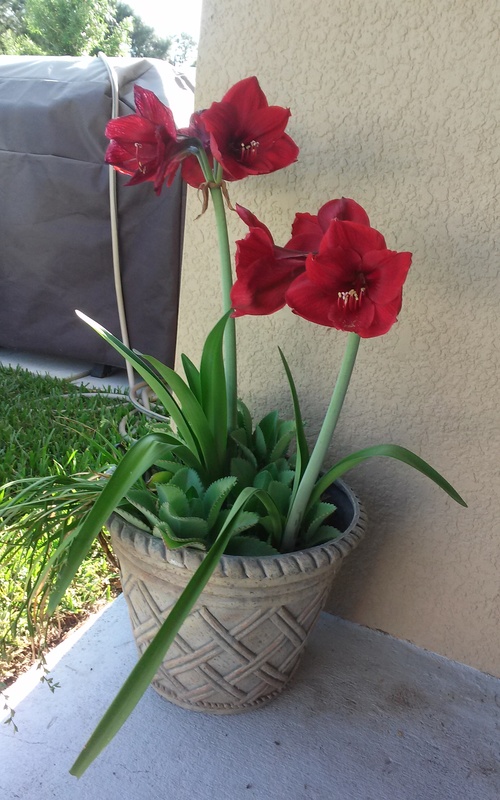 These Amaryllis are some of my favorites. 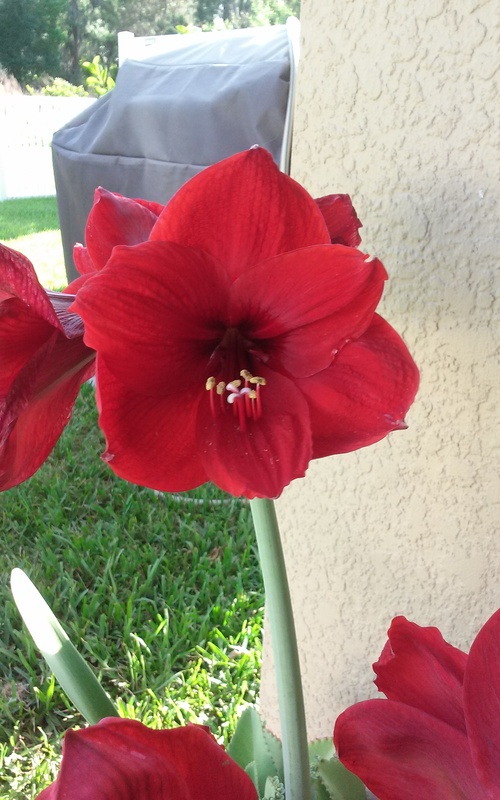 They are a spectacular shade of red. Someday I plan on making a quilt of Amaryllis(s). My other plants are struggling to adjust to the move.